Autonomous vehicles (AV) are operating on Washington’s roadways today. As of late 2018, eight companies had self-certified their ability to safely operate in the state with the Washington Department of Licensing. In an industry that is moving quickly, states across the country are struggling to prepare for this technology, including ensuring public safety while still encouraging innovation. Further, the longer-term implications of mass deployment of AVs are prompting all levels of government to consider how to best harness the potential benefits of this technology, while avoiding the unintended consequences, similar to those experienced during the last major mobility revolution, with the advent of the automobile.In response to these challenges, the state of Washington moved forward legislation in 2018 to create the Washington State Autonomous Vehicle Work Group, convened by the Washington State Transportation Commission (WSTC). 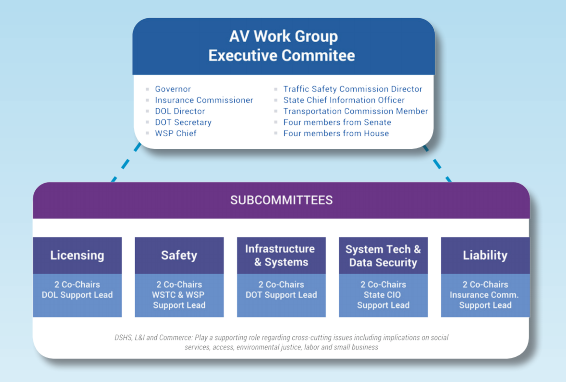 The primary purpose of the Work Group is to identify measures,including regulatory, policy, infrastructure and other changes, necessary to enable and ensure the safe operation of AVs on public roadways, and provide recommendations to the Commission. The Commission, in consideration of the Work Group’s recommendations, is required by law to make recommendations to the Legislature and the Governor each year. The Work Group will execute its charge through a five year process of gathering information and making fact based determinations on actions necessary to support this objective. This collaborative and inclusive process is designed to engage a wide range of public- and private sector stakeholders in the discussion, employing a committee and membership structure designed to elicit diversity of opinion and insights. The process is also meant to be deliberative, recognizing that while this technology is a tour doorstep, the state has time to achieve determinations through this process, rather than making premature changes without due consideration.The Work Group is led by an Executive Committee and organized into five subcommittees, for the purpose of engaging in specific topic areas. Each subcommittee is co-chaired by a state agency and a private sector representative. 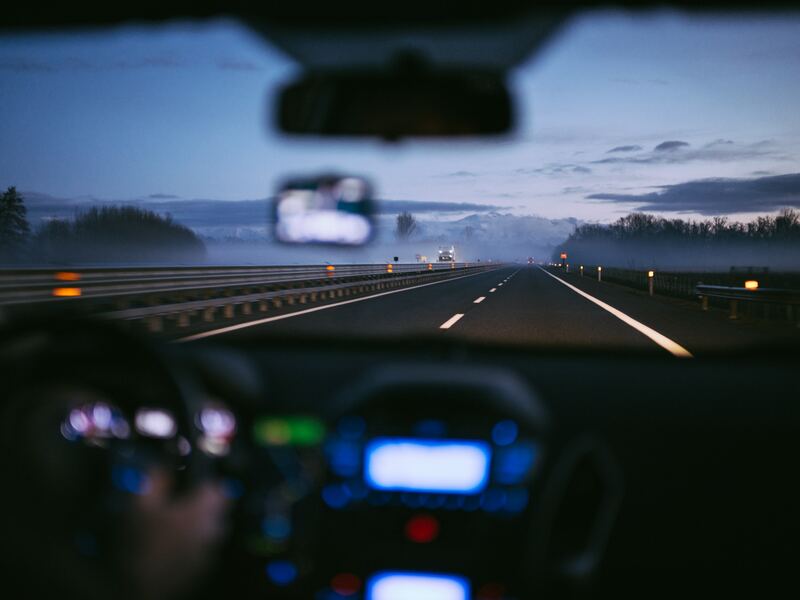 A modified Health Impact Assessment, with an emphasis on identifying impacts of AVs on disadvantaged populations. The Commission agreed that the recommendation for a Health Impact Assessment is timely and joins in recommending that the Legislature fund that work in 2019. To supplement the efforts of the Work Group and provide a deeper knowledge of the challenges and opportunities of autonomous vehicle technology, the Commission has had numerous presentations on the topic throughout the year from private sector companies and from the cities of Seattle and Bellevue. Neil Pedersen, Executive Director of the Transportation Review Board, the nation’s leading transportation research body, also briefed the Commission on the long-term transportation planning and funding considerations of autonomous vehicles and other emerging transportation technologies.